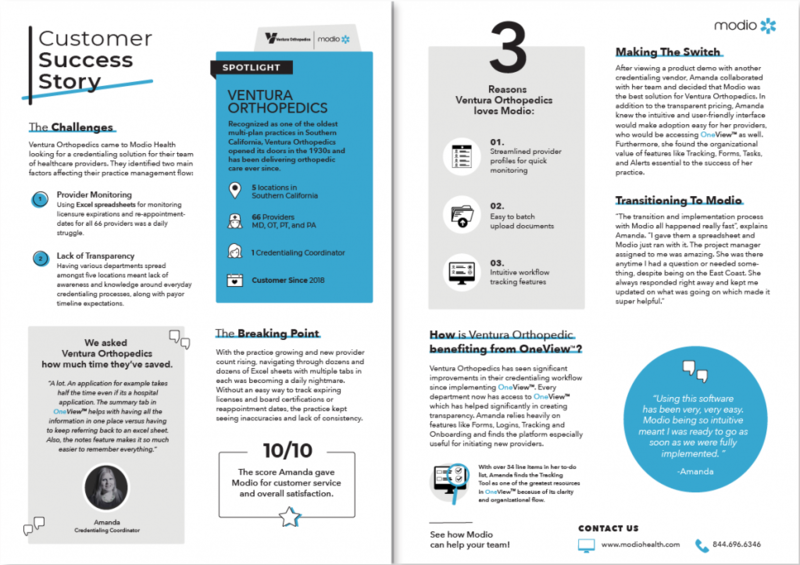 Today, our spotlight is on Amanda, the credentialing coordinator at Ventura Orthopedics. Running the entire credentialing department on her own for 66 providers, Amanda knew it was time to seek out the best solution for managing her team. Read her story and why she’s happy with Modio Health. Download the entire story here.